Michele Iuliano, the owner of Ovest Pizzoteca and Da Mikele, has added a Brooklyn counterpart to Luzzo’s in Manhattan. 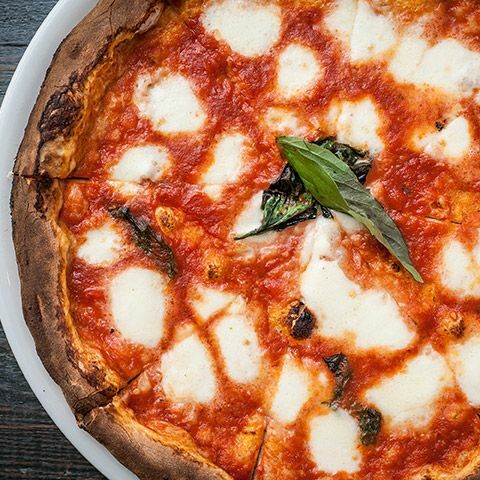 At his group’s fourth restaurant, Iuliano is making basic pies topped with D.O.P. buffalo mozzarella and tomato sauce, another topped with arugula and lemony shrimp, and yet others loaded with toppings like sliced speck and artichoke hearts. But that’s not all: The kitchen at Luzzo’s BK will be frying dough, montanara style, and will serve two kinds of Neapolitan “la quadrata” pizzas; there’s also a full menu of antipasti, salad, and pasta, which you can check out, straight ahead.